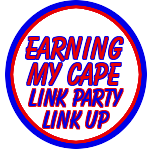 Are you looking for a link party? Do you host a link party? I've been looking for some link parties to join in on lately. I thought it would be fun to invite everyone to link up their own link party here, this way everyone can benefit. You can advertise your party, and it is easy for everyone to find a party to join! Win-Win. I will also be pinning this on Pinterest, so hopefully a lot of people will see it and share it. The party will be open to new links for over a year, so check back from time to time to see the new link-ups. Thanks for the linkup! I added you to my list of favorite sites! Great idea!! I listed mine including one I have going on just for this month. Hope that is all right. I also shared on my FB page and Google+ so hopefully that will bring you some more links. This is a great idea, thanks for the linky! Some great stuff here. Thanks for sharing! What a sweet idea. Thanks for this. I'd love it if you'd come join our Aloha FRIDAY Hop-- it sure would be sweet to have other readers discover for themselves the good that you are doing here. And... all are welcome, always. Thanks! I'm all linked up.